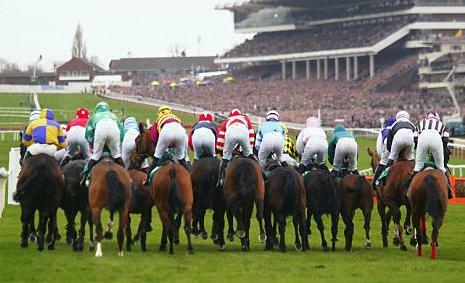 I LOVE the Cheltenham Festival it might not have the same all encompassing draw of the Grand National, but let's face it, the Grand National is for mugs, Cheltenham is for the pros. Matched betting and advantage play opportunities go through the roof over the four glorious days of the Cheltenham Festival, which means it's a great time to be alive.......and not gubbed! Boosts, money back specials, cash back offers, channel 4 horse racing offers, sharbing......and lest we forget, a lot of excellent horse racing as well! There is not a better time of year to start matched betting and making money, you'd be a fool to miss out in fact. If you're looking for information on all the boosts, refunds, specials, money back offers and odds then get yourself over to The Gambling Times where they have a dedicated Cheltenham Festival forum with race by race offers. I'll be following everything with interest this year, from Un De Sceaux in the Arkle Chase, to the Gold Cup on the Friday, it's going to be a cracking meet and hopefully one of the most profitable weeks of the year. To join in, all you need to do is put some effort in. Don't expect tipsters to give you a winner in every race, they won't. Your best chance of making money (which however you cut it is better and than losing) is by using matched betting and advantage play techniques to profit consistently and with no or minimal risk.